The clearly explained demonstrations use common household objects, require little setup, and are illustrated with diagrams. 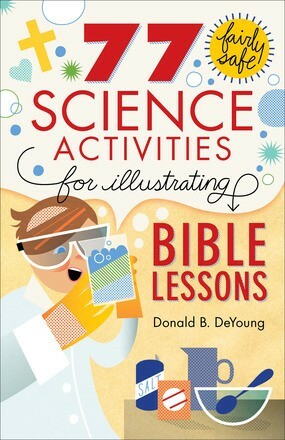 With a presentation of Scripture and dramatic results, the science activities in this book make Bible truth unforgettable. Donald B. DeYoung is a scientist, author, and chairman of the science and mathematics department at Grace College in Winona Lake, Indiana. He is the author of several books on science and the Bible and speaks on creation, detailing how the intricacies of nature are a powerful testimony to the Creator&apos;s care for mankind. Don serves as president of the Creation Research Society, a worldwide group of scientists who promote biblical creation.